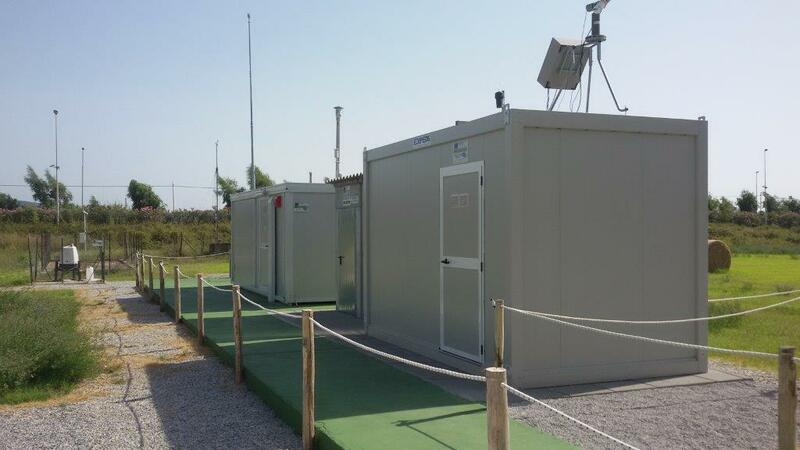 The environmental climatie ISAC-CNR Observatory of Lamezia Terme is located in a strategic and isolated position, 600 m from the Tyrrhenian coast and about 4 km from the center of its urban area, which has about 125,000 inhabitants. The city is located approximately midway between the Tyrrhenian coast and the Apennines of Calabria and is located at the western end of the Isthmus of Marcellinara, the strip of land narrower than the Italian peninsula, where the Tyrrhenian Sea is far about 30 km from the Ionian Sea. Due to its complex orography and position, complex interaction of breezes develops perpendicularly the two coasts with the western prevalent synoptic circulation. In the area air pollutant emission are mainly due to anthropogenic activities (i.e. local and highway traffic, international airport, cruises from/to Gioia Tauro, houses and agriculture) and to natural sources (Saharan dust; volcanic ash from Stromboli 80 km to W, and Etna, 200 km to SE). 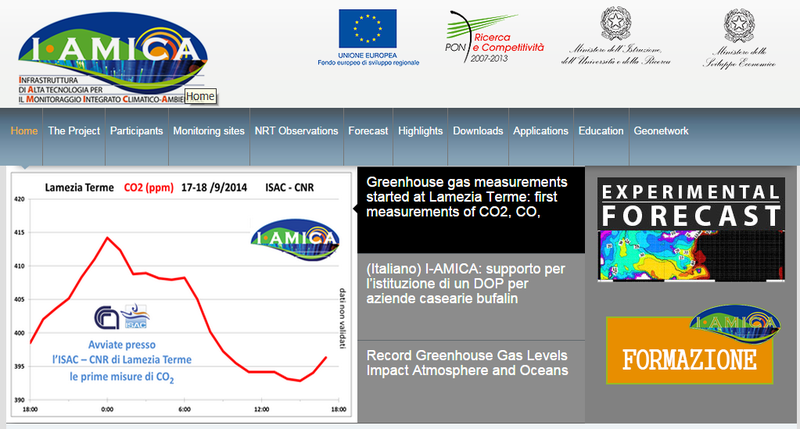 In the framework of I-AMICA PON project, the following measurement programs have been activated: - Meteo parameters: temperature, pressure , relative humidity, wind direction and speed, precipitation - Surface ozone and sulphur dioxide - Carbon monoxide, carbon dioxide, methane - Nitrogen oxides (NO and NO2) - Aerosol number size distribution (particles from 280 nm to 10 micron) - Aerosol mass (PM2.5 and PM10) - Equivalent black carbon concentration and aerosol absorption coefficient - Aerosol scattering coefficient at three wavelenghts - Integrated aerosol particle counting (for particles with 4μm lowest diameter) - Solar radiation and thermal energy. 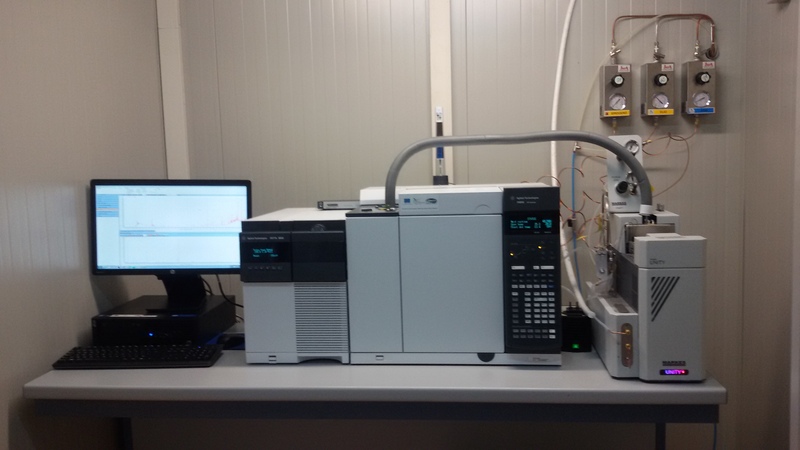 - Vertical profiles of wind speed and direction - Vertical profiles of the aerosol in the framework of EARLINET network. Observatory is equipped with devices for the near-real time data delivery, allowing for a timely identification of special atmospheric events or instrumental malfunctioning.